Tim was a serious theater-goer before we got married, but if you think we’re going to spend $25 (two tickets) on a regular basis you’re crazy. Plus, going to the actual theater means paying to park the car a mile away, which means walking through snow, which means I’m annoyed about the whole situation before I even get there. Redbox has become the preferred movie-watching method for us. 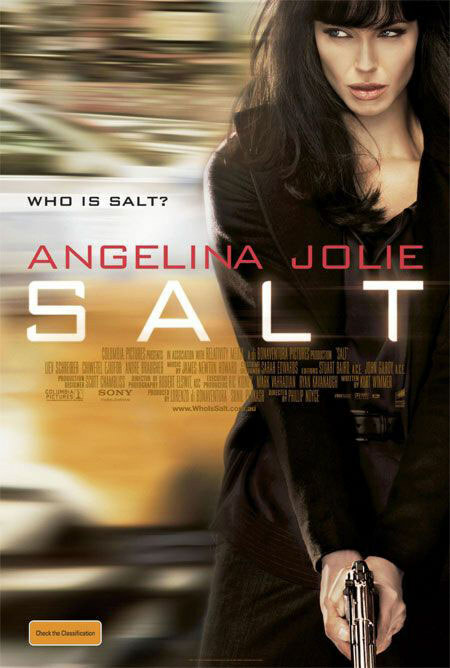 We recently rented Salt, and it was suspenseful and exciting, but also completely unbelievable and a little bit silly. And just FYI, Angelina Jolie is super creepy looking when she’s dressed as a male.